Certain model year Ford Fusions have a serious problem with their windows. Specifically, the windows will not close and at times they will open after they have been closed. Ford Motor Company is aware of this defective window condition and is unable to fix it. Ford has directed service facilities to reprogram certain modules to temporarily correct the problem. Ford has also directed service facilities to not attempt any further repairs upon the windows if the module reprogramming does not temporarily fix the problem. 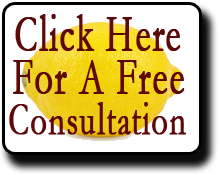 If you have a Ford Fusion purchased or leased in California with this problem, or any other problems, and would like a free consultation regarding the California Lemon Law, feel free to contact us by phone or e-mail. Phone 866-360-6886; e-mail: info@davidjfarrell.com.